Designed for maximum modularity and for clear and easy creation of all electrical and mechanical connections. Operational safety is ensured by comprehensive safety precautions and protections like full protection of every rotating element, safety bushing 4 mm for inputs and outputs. Power module provides automatic guards on each output, it also contains tools that facilitate measurements. Electrical machines are built according to the standards of industrial production; durability is guaranteed thanks to the use of high quality materials. Compatible with the latest converters and DC and AC speed regulators. 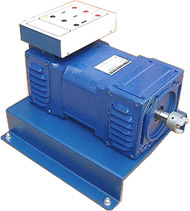 Single power supply for all machines, motors, generators, brakes, transformers, etc. 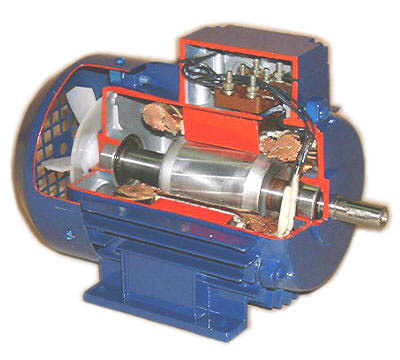 Each electric machine is mounted on a base plate allowing quick coupling in groups of several machines. Specific solutions have been adapted to streamline the approach of the student and the philosophy of the system is designed for educational purposes. No liabilities are given or implied for the specification and photographs printed in this page.